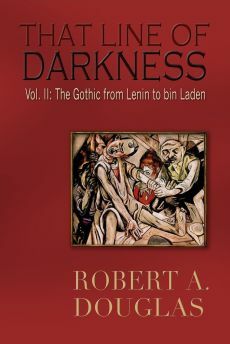 This review originally published in Critics at Large is reproduced on this site because in That Line of Darkness: The Gothic from Lenin to bin Laden (Encompass Editions, 2013) I devoted several chapters to exploring the many facets of Stalinism. Amor Towles’ astonishing new novel, A Gentleman in Moscow (Viking, 2016) about a former aristocrat, now a Former Person, who spends over thirty years of house arrest living in the Metropol Hotel is sui generis, one unlike any other novel or memoir of the Stalinist era that I have ever encountered. Classic novels such as Arthur Koestler's Darkness at Noon, Alexander Solzhenitsyn's The First Circle and the more recent The Stalin Epigram by Robert Littell about the poet Osip Mandelstam, or the powerful memoirs, Into the Whirlwind and Within the Whirlwind by Eugenia Ginzburg, or the superb Man is Wolf to Man: Surviving the Gulag by Janusz Bardach are chock-a-block with deprivation, terror, cold, hunger and the threat of death. By contrast, Gentleman is about a prisoner steeped in elegance and civility living in a bubble seemingly out of place and time. The novel opens in 1922 when Count Alexander Ilyich Rostov is called before a Bolshevik tribunal, deemed an “unrepentant aristocrat,” ostensibly for writing a poem, and sentenced to lifelong house arrest. 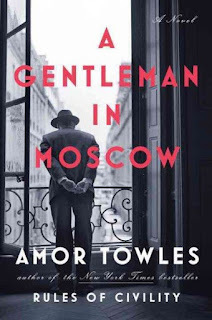 He is frog-marched across Red Square to the Metropol – the famous turn-of-the-century hotel that Towles has visited in his former life as an investment executive, subsequently researched and written about – and warned that if he ever sets foot outside again, he’ll be shot. Saved from a bullet to the head or exile in Siberia because he is deemed a hero of the pre-revolutionary cause, the count is moved out of his posh suite and into a dilapidated tiny attic room on the top floor, which has barely enough space for his Louis XVI desk and ebony elephant lamps. There, without complaint and with unrelenting charm, courtesy and grace, he proceeds to make the best of his new circumscribed life. At first, the count enjoys the hotel’s amenities: the delectable food of its multiple restaurants, the pleasures and practical conveniences offered by the barber and the seamstress. He exercises, he tries to make his way through Montaigne’s Essays, and above all he observes the comings and goings of foreign business men, diplomats and Communist apparatchiks. Over time he becomes the head waiter of the famed Boyarsky Restaurant, putting all his refined taste about wine, fine food, and etiquette to good use, and of equal import, Rostov creates lasting bonds with both its employees and many of its guests. One of those guests is a security officer who over the years Rostov instructs about Western culture, including the films of Humphrey Bogart, especially Casablanca that turns out later to pay rich human dividends for the Count. 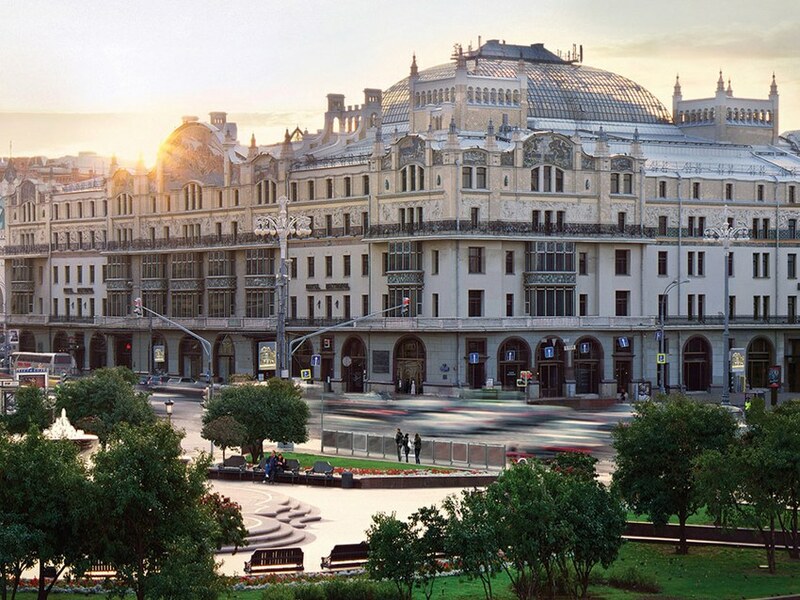 Throughout the Metropol is a refuge from Stalin’s barbarities and the horrors of World War II. The world in this elegant hotel seems largely impervious to a society on the cusp of radical change. 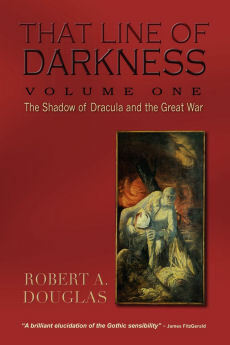 Yet Towles allows tumultuous outside forces to intrude sometimes into the main text, briefly chronicling, for example, the implementation of the First-Five-Year-Plan for industrializing and collectivizing the country in 1928. The external world also enters as messengers relay news or as the hotel hosts the occasional political meeting. For example, near the end, Khrushchev presides over a celebratory dinner occasion for the potentates of the Party, but despite the drinking, civility is maintained. (Towles is wise not to incorporate a dinner meeting masterminded by Stalin as his command performances were notorious for their all-night drinking sprees and crude Animal House-like pranks that invariably humiliated one of his minions.) Moreover, Towles understates Soviet cruelties: “Let us concede,” he says at the start of one chapter, “that the early thirties in Russia were unkind.” But he does not trivialize the repression and the terror as he inserts several pungent footnotes delivered with wit that provide succinct backstories for what is happening in the outside world. Gentleman is narrated not by Rostov but by a hovering third person with about one degree separation from the principal protagonist reminiscent of the director Alexander Sokurov in the 2002 film, Russian Ark, wherein he is the unseen narrator carrying on a conversation with an on-screen 19th-century French diplomat. That film was distinguished by its long panning, unbroken shot over the entire film in which the camera patrols the Hermitage, once home to Catherine the Great, to film the paintings and its diverse denizens. Whereas that film is celebrated for its technical virtuosity, one of Towles’ strengths is his writing style, a facility for a language and cadence of an earlier time and its leisurely, almost languid pace, much like the film, that perfectly complements the unhurried demeanour of the urbane Count who always behaves like the perfect gentleman. Imagine the ghost of Tolstoy bearing witness to this turbulent era from the perspective of a prisoner confined to a grand Art Nouveau palace, one who always remains gracious but loathes and whenever he can avoids political discourse? Nonetheless, Towles does satirize words in the Communist lexicon like ‘comrade’ and ‘historical inevitability,’ and opportunistic apparatchiks, such as the waiter who decides that all the labels should be removed from the bottles in the wine cellar to create a Bolshevik expression of equality so that the only choice is red or white wine and everything costs the same. (Not all the denizens of the hotel are decent individuals.) The passages describing the changes to the wine packaging are among the most memorable in the novel because they demonstrate that even in the most quotidian matters ideology overrides quality and taste. But if Gentleman were only about what I have noted above, we could still celebrate it for its originality. Towles’ mastery of grandiloquent language redolent of Tolstoy, and his marvelous juxtaposition of that genteel past encapsulated in Rostov’s character and patrician manners are combined with the Count’s vivid recollections from his personal history, and the violent, ideologically-driven upheavals that are omnipresent beyond the buffered chambers of the Metropol. But such a novel would lack what I can only describe as heart or passion. The Count would be relegated to a sophisticated but cool aesthete, for some readers perhaps an entitled dandy more interested in projecting style than substance, more an observer than an engaged participant in the sometimes messiness of life. Yet human impulses percolate and vibrate within him – courage, the willingness to take advantage of relationships that he has nurtured for years and the desire to sacrifice everything for someone else – that are especially in evidence in the last third of the novel. As a result, Gentleman pulsates with life in ways that I did not experience watching Russian Ark. During the time he spends under house arrest, he continues one relationship and enters into three others that complicate the otherwise-unchanging nature of his life at the hotel and jeopardize his unusual bargain with the Soviet state. (House arrest was not uncommon during Czarist times but exceedingly rare during the Communist era.) His long-time friendship with Mishka, a writer who knows first-hand the cruelties of the state, illustrates how the power of Russian literature and human compassion provide solace for those victimized by ideological constraints and personal hardships. Three women also feature prominently in Rostov’s life. The first is with a nine-year-old girl named Nina, who becomes both the Count’s playmate and frequent dinner companion during the early years of his imprisonment. Later, he begins an intermittent affair with a willowy actress, Anna Urbanova, struggling to make the transition from silent movies to the more politicized films of the talkie era in the Soviet Union, a relationship that deepens as they age. 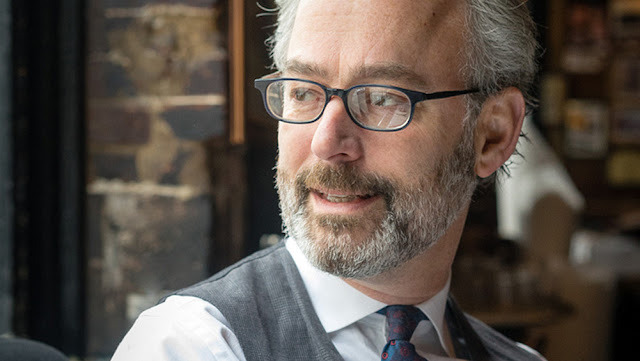 But the Count’s deepest and most meaningful connection, which provides him with renewed energy and is the driving force behind the quickened pace of the novel’s final section, begins when he becomes the de facto father of Nina’s little daughter Sofia. Years after her first childhood encounters with the Count, Nina, a committed Communist, returns to the hotel in an agitated state and asks him to take care of Sofia as she leaves to search for her husband in a labor camp in eastern Siberia. As Sofia grows into a lovely young woman and talented musician, she becomes for Rostov not only his cherished daughter but a memory of her lost mother. I cannot reveal too much as Gentleman races towards its thrilling conclusion, except to say that derring-do adventures do unfold wherein Sofia plays a crucial role. Tolstoy meets le Carré. What lingers most in this satisfying novel is the gentility and mutual respect that are nurtured within the Metropole, antidotes not only to the insanity that occurs outside its doors but also to the insults and crudity that tarnish our own times.